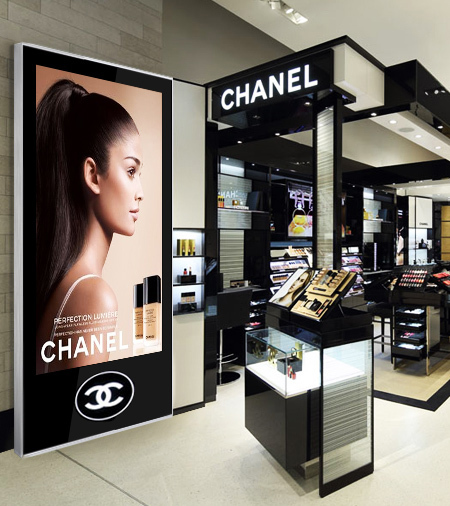 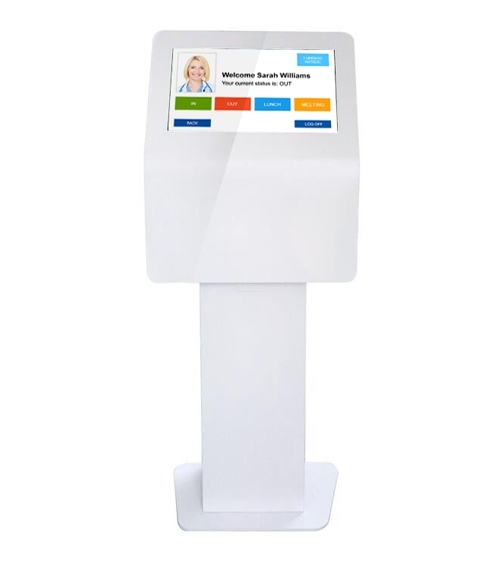 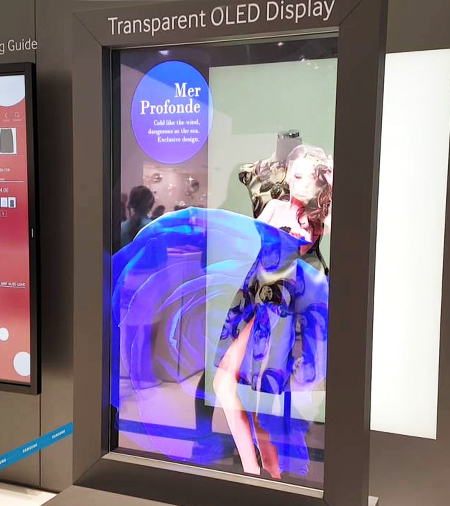 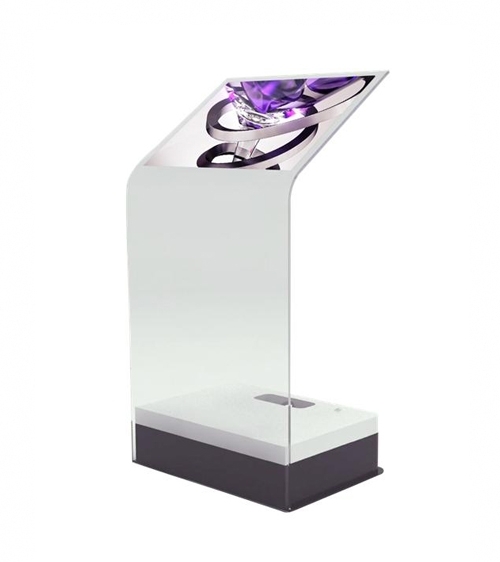 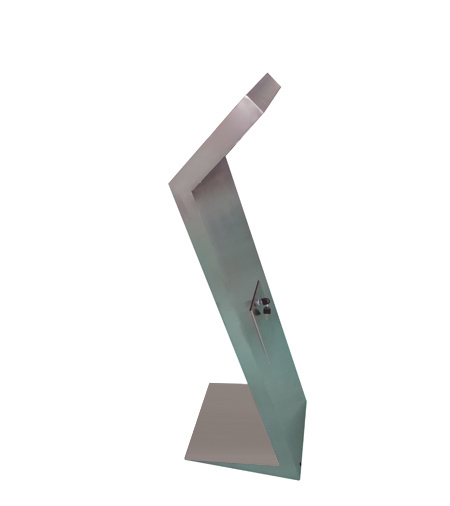 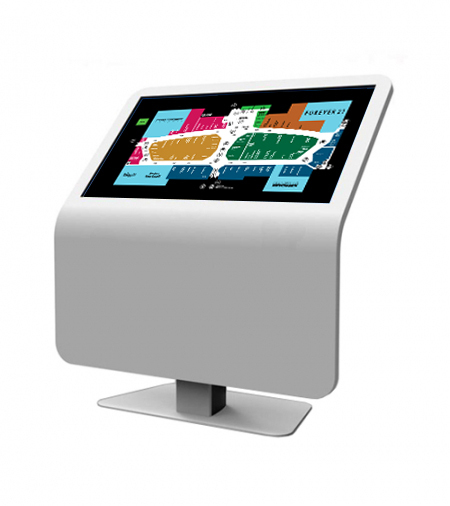 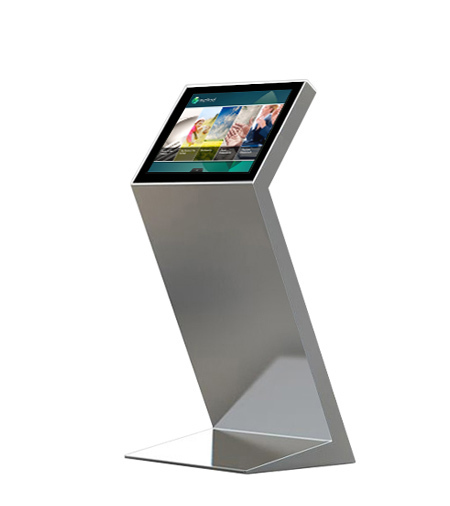 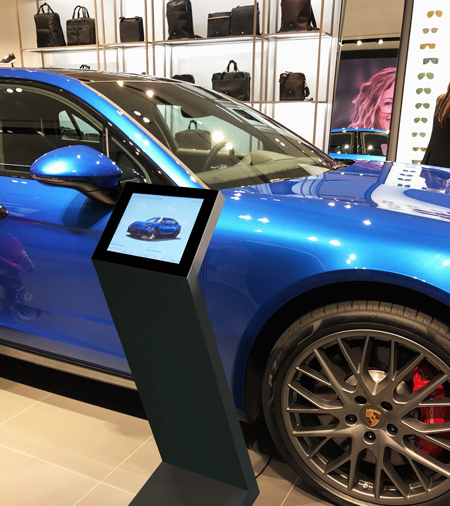 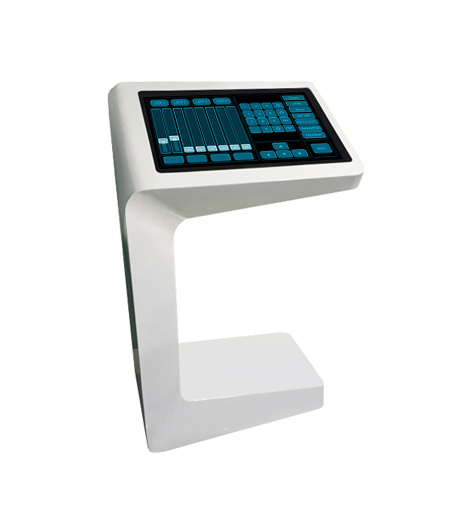 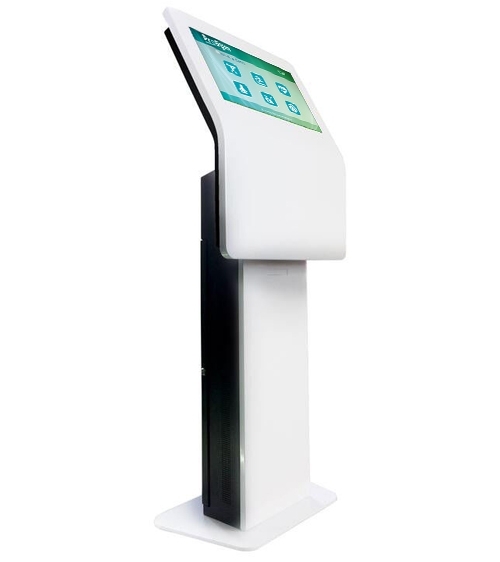 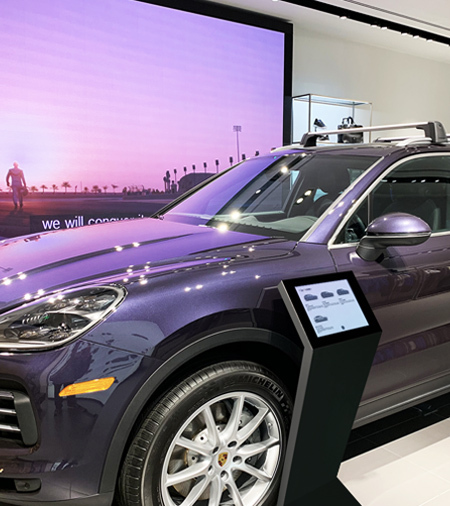 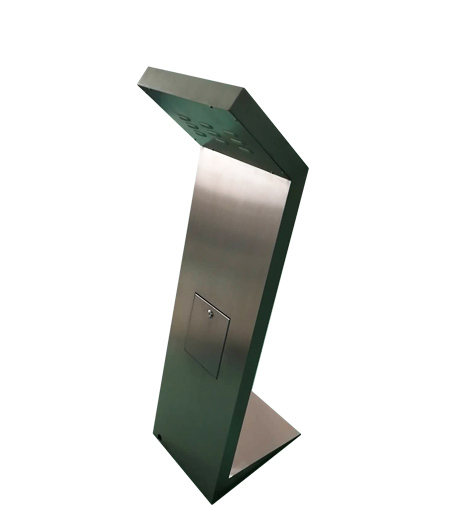 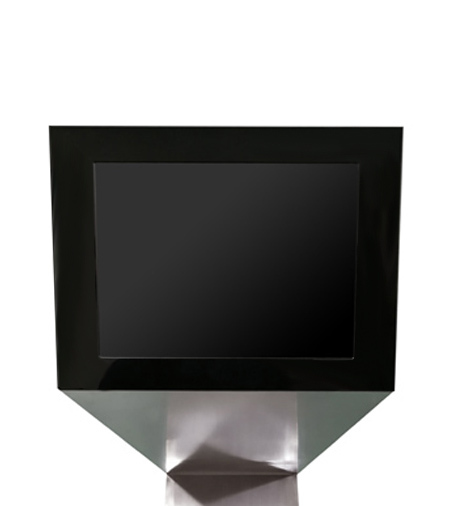 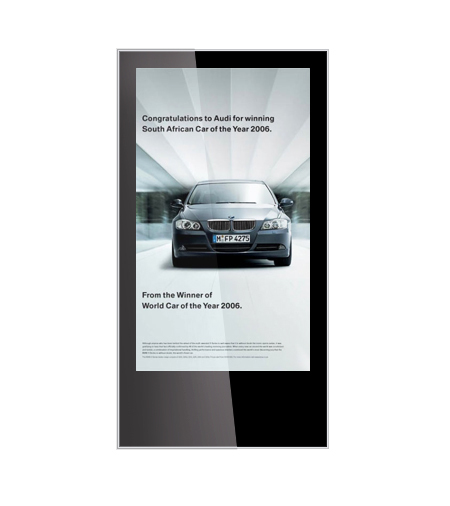 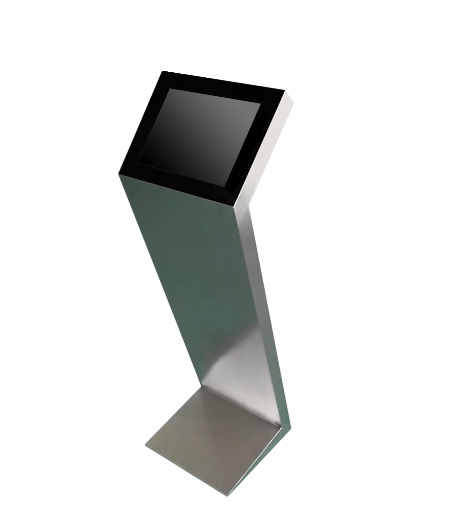 Light, multi-functional, Interactive kiosks in stainless steel or matte black finish. 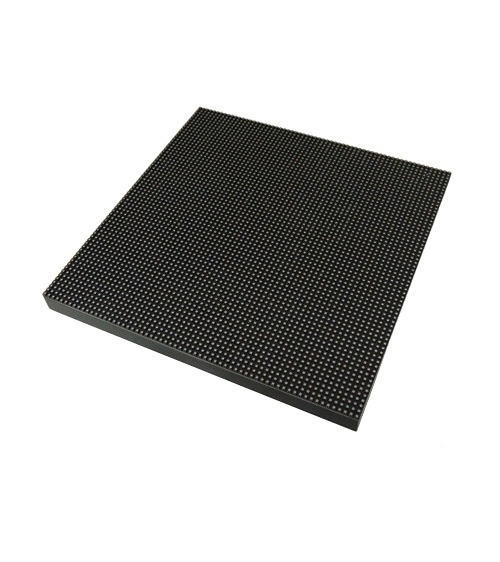 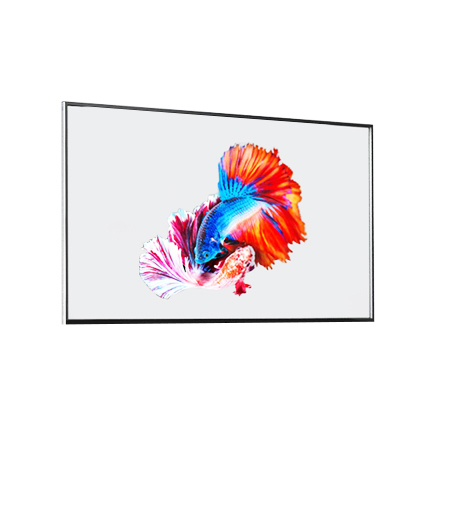 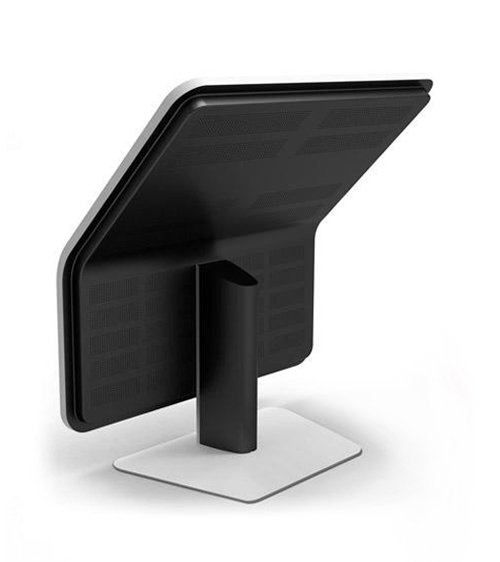 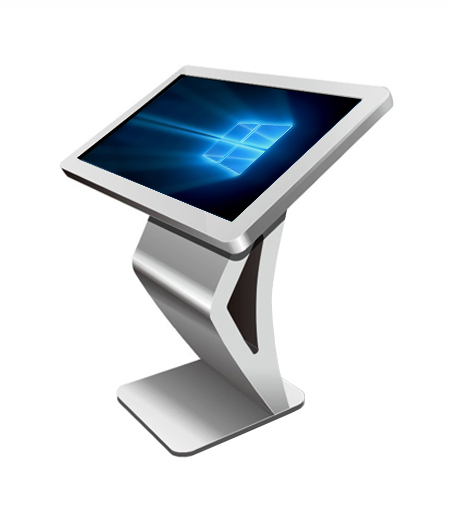 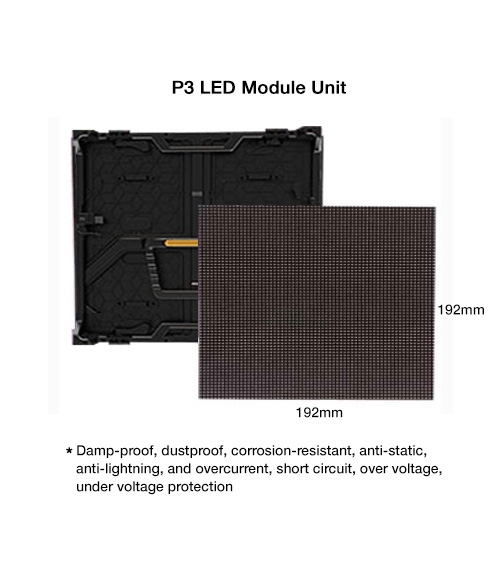 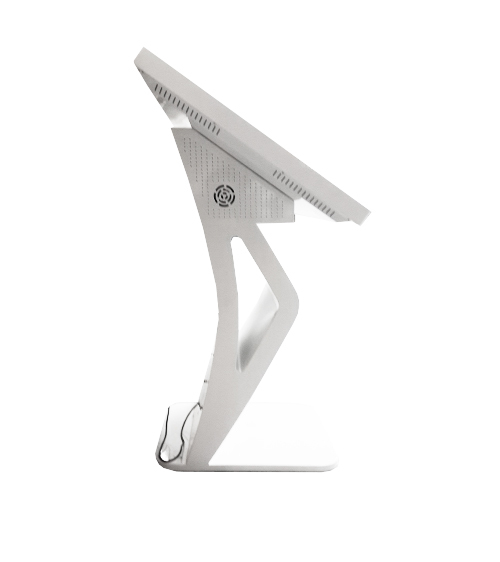 Comes in 13″, 19″ or 22″ display size with capacitive touch screen, and computer all in one beautiful stand. 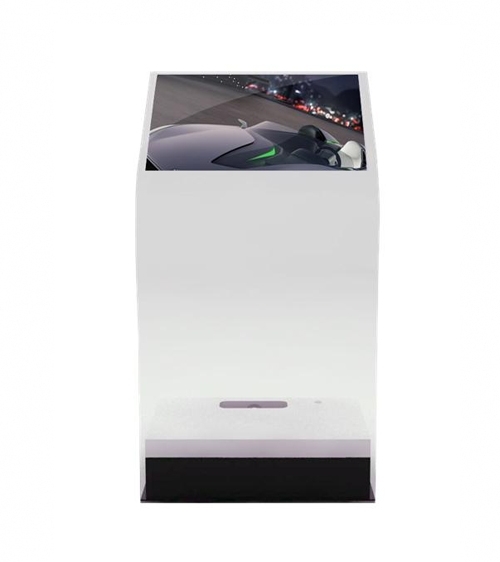 Far too often kiosks are obtrusive, ugly, and do not fit in with the surrounding environment. 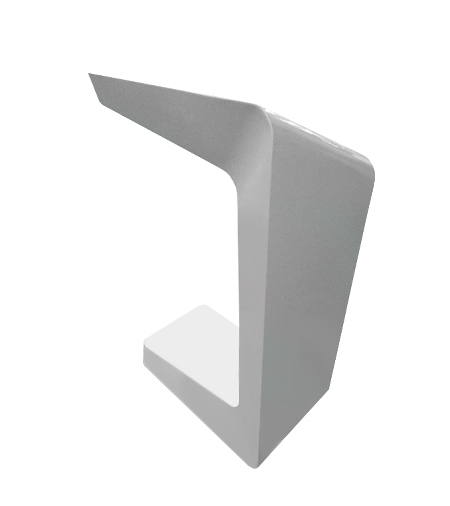 This stylish design breaks this unfortunate trend by offering a sleek, unobtrusive design that complements any environment. 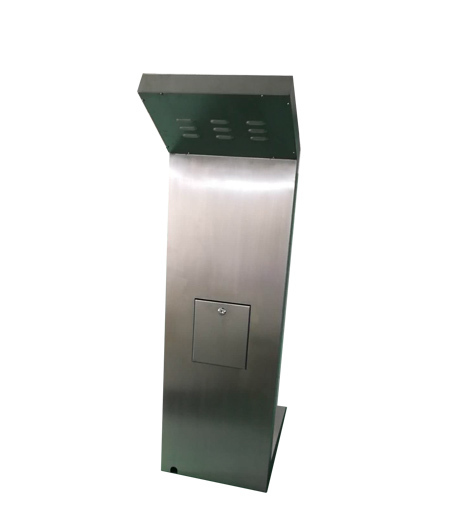 Its compact footprint, versatile configuration, and eye-catching aesthetic makes it an ideal solution for banks, auto showrooms, museum exhibits, trade shows, airports, hospitals, office buildings, etc.